It took a bit longer than expected, but I have finally revisited my STSDEV Theme Solution Generator. I just posted a new release on CodePlex—STSDEV 1.3b with Theme Generator—and the full source is now available in my CodePlex repository. The big theme-related addition in this version is an option to automatically apply Heather Solomon’s @import technique, as a simple checkbox for now. There’s a lot more it could do for us (move other theme assets into LAYOUTS, fix image references in the CSS, etc), but it’s a start. 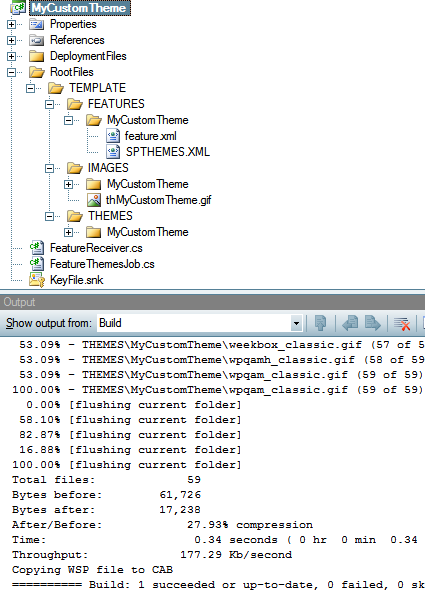 I also fixed a TemplateFiles bug in STSDEV that has annoyed me for a while. I’m curious what the community thinks I should do with the Generator. If STSDev were more mature, I would just release a Generator DLL for a specific release, but for now it’s still relatively volatile and the APIs I’m using will probably (hopefully, in some cases) change. There’s also the issue of STSDev vs. STSDev 2008. And maybe more importantly, is this even a tool worth maintaining as more than a proof-of-concept? I’m open to your thoughts/suggestions. I like this article in particular because it points out to the “end user” the un/ghosting caveat of SPD customizations that administrators despise and most developers learn on day 1. But it still advises the changes be made directly on the file system, with no mention of how that should be done. Sure it’s an end user audience, but modifying the hive should bump it squarely out of beginner territory. I have just one question. 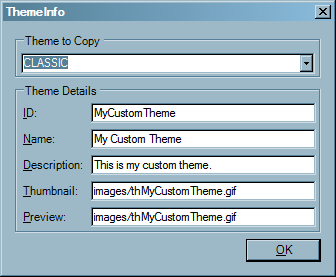 Is there a way to deploy custom themes as a solution? Well, we developers all know the answer is yes. I’ve previously discussed updating SPTHEMES.XML, and there are several tools (WSPBuilder, STSDEV, VSeWSS (in theory)…) that can handle “solutionizing” the theme resources, but there has to be a better way. And through STSDEV‘s solution provider interface, there is! The solution provider copies the existing theme, renames the .INF, does the search and replace, and even builds a farm-scoped feature complete with receiver to update SPTHEMES.XML. The current STSDEV release (1.3) doesn’t populate the feature receiver assembly, but after adding that to feature.xml the solution should be ready to customize and deploy. I need to clean up the code a bit before I put it on CodePlex, but in the meantime you can download the binary here: STSDEV 1.3a with Theme Generator. If you’re new to STSDEV, check out Ted‘s Tutorial Screencasts (scroll down) to get started. And if you have any problems or feature requests, please let me know. 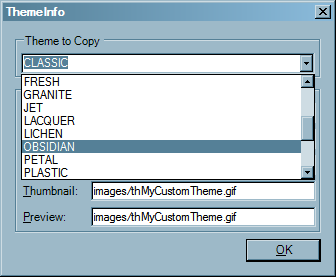 One idea that I’m already planning to implement is an option to convert a theme to use Heather Solomon‘s @import technique.